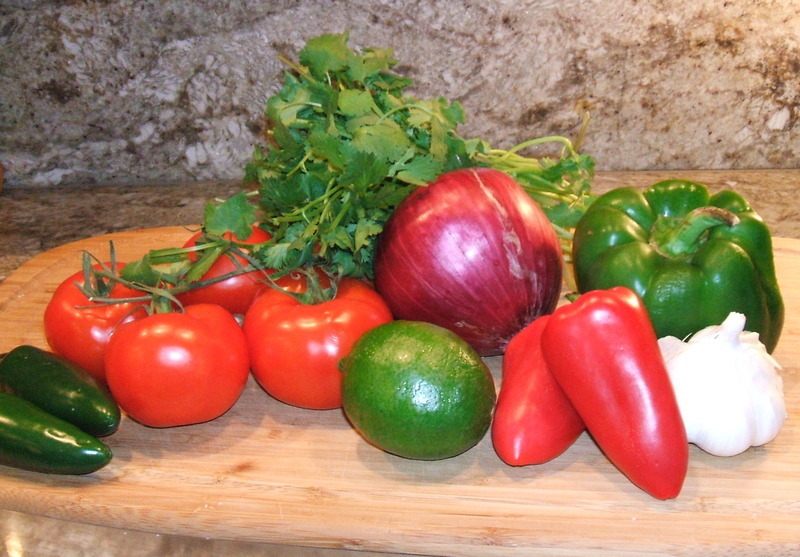 Take the time to always serve fresh salsa! 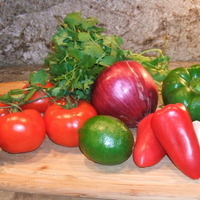 I love making fresh salsa! This is great served with chips, taco's I made a batch this evening to serve with my Huevos Rancheros! 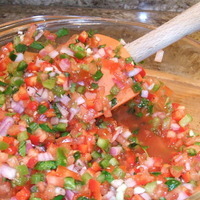 This salsa is a snap to make if you purchase that handy dandy chopper I was talking about in an earlier post. You can see by the photo everything is evenly chopped. I slice my tomatoes and then pop the sliced into the chopper and press. Instant fine dice! NO BULL, this is the best tool ever! You can make this as spicy as you wish, you can make as much as you like. The longer this sits the better it gets. During the summer we have even made salsa dogs on the grill. 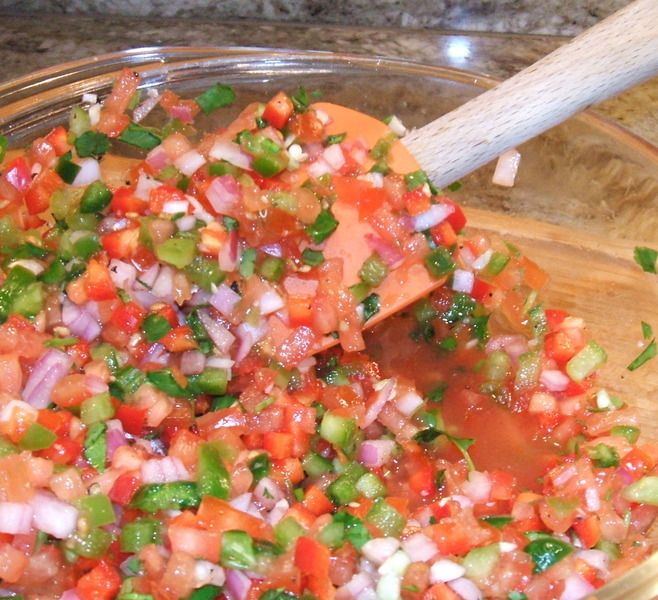 This is a great salsa that can be added to many dishes. 6 Tomatoes, I usually purchase Roma tomatoes for this. 1 fresh jalapeno chopped/ can add more if you like it spicy! Dice all of the above into small bits, season and taste. I like mine spicy, so I taste then decide if I want more jalapeno peppers. Really close to the one I have been making for years, didn't even think to add red and green peppers going to try that. Does anyone know the name of the handy dandy chopper?